North Carolina needs a 21st century approach to economic development that is focused on increasing household incomes and ensuring that all regions of the state are able to benefit from economic growth, according to a new report from the Budget & Tax Center, a project of the NC Justice Center. The fundamental challenge facing North Carolina’s economy is how to replace rapidly vanishing jobs in declining manufacturing industries with jobs in growing industries that pay enough to allow workers and their families to make ends meet and achieve middle class prosperity. 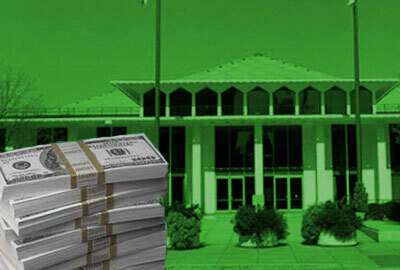 North Carolina should refocus its economic development goals to not just promote growth for its own sake but also ensure that as many people and regions of the state benefit from such growth. * Promoting family income growth as the goal of economic development, rather than concentrating on economic growth in general. Traditional economic growth is not enough to promote broadly-shared prosperity—it must be accompanied by rising incomes for North Carolina’s families, including those in communities that have fallen behind. * Adopting an “all-of-the-above” approach to economic development that supports all types of business growth, including the expansion of existing businesses and the creation of new homegrown businesses, alongside strategies for attracting outside businesses to the state. * Targeting businesses in industry clusters that are not only expanding, but that also pay high wages and offer good benefits, and to target those efforts to the regions of the state that lagging behind. * Ensuring economic mobility by creating career pathways from low-wage work to high-wage work. Opportunities for workers to develop new skills provide critically important pathways out of low-wage work and play a critical role in spurring income growth, greater economic mobility, and more broadly shared prosperity. The state also needs a more reliable way to measure whether its economy is working for all North Carolinians, the report said, one that looks beyond the standard measures of overall employment growth, the state’s unemployment rate, or average annual growth in the production of goods and services. Instead, policymakers need to use a broader range of indicators— including median household income and poverty rates—that reflect changes in the standard of living and the ability of families to prosper in the 21st century. Read the full report by Budget & Tax Center policy analyst Allan Freyer at this link.